The Goodman Law Firm practices criminal law in Rockwall, TX. We serve many counties surrounding Rockwall, including Dallas, Hunt, Kaufman and Collin counties. For many of our clients the process of criminal law is confusing and often a complete mystery to them. At our law firm, we take the time to not only explain the legal options pertaining to the case, but provide a clear picture of the entire process. Most criminal law cases will start with a criminal investigation, followed by a case officially being filed. Once the case is filed it is presented to the District Attorney. If the case is accepted a court will hold an initial appearance to make sure you have an attorney. If you have not yet hired an attorney, one will be appointed for you. Once you have an attorney, a consultation takes place and the defense process begins. There is an evidence exchange, possibly followed by some motions made by the attorney. Before trial there is a status conference where a negotiation or plea is encouraged before the cause goes to trial. If the no plea is given or if it isn’t accepted you move to trial. We’ll provide are more detailed description of the criminal law process below. A criminal investigation can begin because of what an officer has observed, a 911 call, an allegation or a tip from an informant. During the course of the criminal investigation officers will look for evidence, and a lead detective will be assigned to the criminal case. During the investigation the detective may request a statement from you, also called an interrogation. If this happens, you should hire an criminal defense attorney immediately. Once the detective has completed the investigation he or she will deliver a sworn affidavit to the magistrate with the reason they feel a crime has occurred. The magistrate will then review the affidavit and decide if there is probably cause and issue a warrant for the individual. Once arrested the individual will be informed of the charges against him, this is called the arraignment. If the case is to proceed it will have to be accepted for prosecution by the District Attorney’s office. Once the case is reviewed the DA’s office will decided to file by an information or true-billed by a grand jury. If they file by information it is a misdemeanor, if they file true-billed it is a felony. How Does the Grand Jury Process Work? Once the case is filed and presented to the court it can have a number of settings. In Rockwall County a number of pre-trial settings exist which require different tasks to be accomplished. During the initial appearance, the court makes sure the individual has an attorney. If an attorney has not been hired, one will be appointed. A Election of Counsel form is filled out and the request for the court to appoint an attorney is made. Is a Court Appointed Attorney Free? Yes and no. If you are not able to bond out of jail, the appointed attorney is most likely free. If you were able to bond out, or were given a pre-trial release, the court can order that you repay the attorney fees. 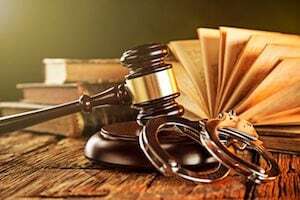 Additionally, you may be required to pay for your court-appointed attorney as condition of probation, deferred adjudication, or as a condition of a pre-trial diversion program. In short, when you ask for a court-appointed attorney, you are giving up your right to choose your own attorney, and in all likelihood you will end up paying for an attorney that you did not choose. Hopefully you’ve hired an attorney early in the process, but if you were just appointed your attorney the consultation process will begin. Again, if you hired an attorney from the beginning, a consultation has most likely already taken place. At this point the prosecutor should be ready to offer a plea agreement. A plea deal is basically the punishment you would receive for pleading guilty to the crime and avoiding a trial. If the plea is accepted a number of outcomes could occur. If you do not wish to accept the plea agreement, more pre-trial settings occur. Evidence exchange would then occur next. Prosecutors will present all the evidence gathered in the investigation. During the discovery period, evidence is disclosed. At this time another plea agreement may be made. If no plea is agreed upon, the case will move to the motion setting. There are certain circumstances that may prompt your attorney to file motions with the court. For example, if your attorney believes that the procedures used to gather evidence from your case was unconstitutional, they can file a Motion to Suppress the evidence. If a motion is filled there will be a hearing on the motion. If a plea agreement is reached at this point, the plea proceeding is scheduled. If not, then the case will either be set for Trial or for a Status Conference depending on kind of case you have. Again parties are encouraged to reach a plea agreement before moving into trial. If a plea agreement was accepted by both parties, a judge can decide to not accept it. In any event if there is no plea agreement or the agreement is rejected some forms will be filled out and the case will be set for trial. If after the pre-trial settings a case is not resolved, it is set for a trial. A person who is accused of committing a crime has the right to a trial by jury in Texas. For misdemeanors, this is a jury of six people. For felonies, it is a jury of twelve people. If you would like a free consultation regarding your criminal law case, please contact us today. The Goodman Law Firm in Rockwall has experience and knowledge in the area of criminal law.